Welcome to A and B Milligan. We are an independent, long established, family run (5th generation) coal merchant and stove supplier. There isn’t much we don’t know about coal and solid fuel appliances. Ring, email, or pop in to our showroom and advice centre, for any questions that you may have about fuels or appliances. We will be more than delighted to help. All of our smokeless fuels are brand names. We do not blend any fuels (as other companies do). We do not believe in blending together cheaper impurities of fuel and traces of petcoke in order to increase our profit margins. So you can be sure of high quality fuels that are fully HETAS approved, tested and feature on the HETAS website. 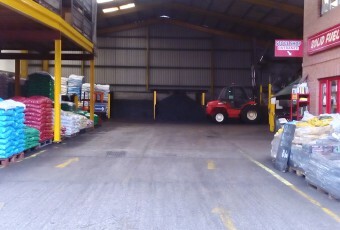 As (probably) the only completely undercover coal yard in England, we store, pack and sell all our coal inside. This means that our coal is DRY. What are the benefits of our products being kept undercover? Wet coal weighs up to 15% more than dry coal; so you are get more coal in the bag and you’re not paying for water. When wet coal is burned, it can create sulphuric acid, which can cause dangerous corrosion to your stove and can rot flue liners. Dry coal is easier to light. Dry coal will get up to optimum burning temperature quicker, meaning less coal is used; this means that it is more cost effective for you. No wet, dirty bags making a mess. Our coal is available to pick up in pre-packed 20kg bags. Drive in to our drive-though and our friendly yard staff will help you to load your car. Local customer? We deliver our coal on our own wagon in 50kg open sacks (or, if you are out of our area, we can pass you on to one of our coal merchants), which we tip into your coal bunker or shed. We also deliver 20kg plastic bags (minimum order of 20 bags). Call us for more information and to arrange delivery. Not local? 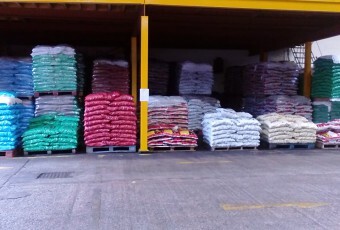 We offer delivery, by the pallet (though pallet line), with next day delivery available. Take a look at the fuel section of our website, or call us, to order.